Seeking The Best Private SAT Tutor? Average student score increase rate: 15 points per hour! The fastest. With a perfect score, I help my students do their best. 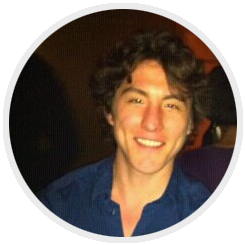 Hello, I'm Josh, one of the top tutors in the San Francisco Bay Area, and I look forward to helping you! I have been a full-time independent tutor for a decade. My students have gone on to elite universities such as Caltech, Yale, Berkeley, University of Chicago, and UPenn. With my service you get someone far more qualified than a tutor from a mass-production tutoring company: I have a decade of private tutoring and classroom teaching experience, and Chicago Public Schools hired me to design the curricula for Algebra, Trigonometry, Precalculus, and AP Calculus (my syllabus being approved by the College Board). I also have a profound understanding of grammar and writing. I am confident you will appreciate my expertise and friendly, holistic approach. My students are people first and foremost, and facilitating their academic and personal growth is of paramount importance to me. To read some of the strategies I've written regarding the verbal sections, click here. To see why I'm your best choice for SAT instruction, click here.